My son and I like to stroll along a nearby river in spring/summer time to collect edible wild plants, dandelion is one wild plant that we collected the most. I liked them in salad, sun-dried as tea leaves, and to dip into this delicious Scrambled egg in soy bean paste. 1. 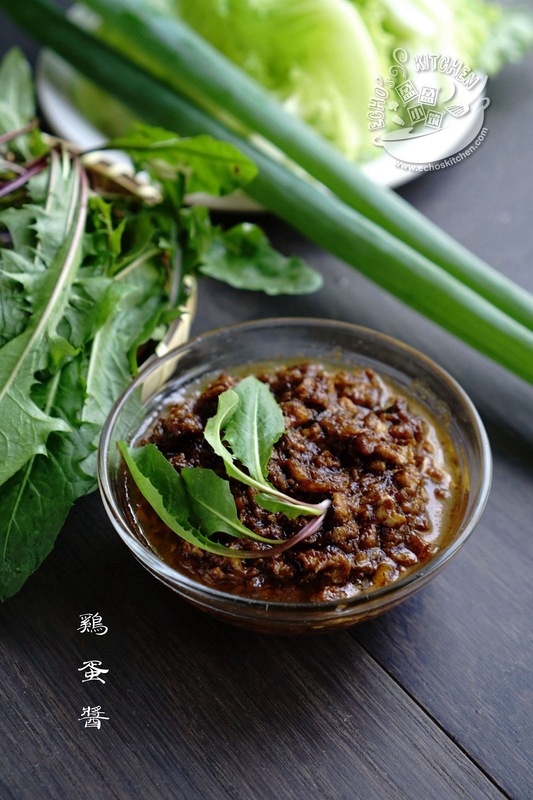 Mix the soybean paste and Miso with 2-3 tbsp of hot water to soften and to thin the paste. 2. 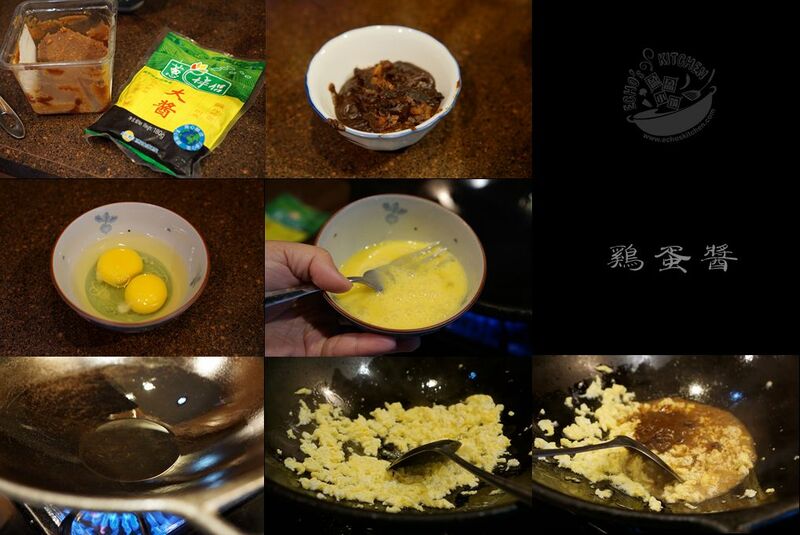 Beat two eggs until fluffy, heat a cooking pan/wok without oil, when the wok is really hot, add cooking oil and quickly pour the eggs before the oil heated up, stir the egg quickly, hot wok and cool oil gives very tender and small pieces of scrambled egg. 3. 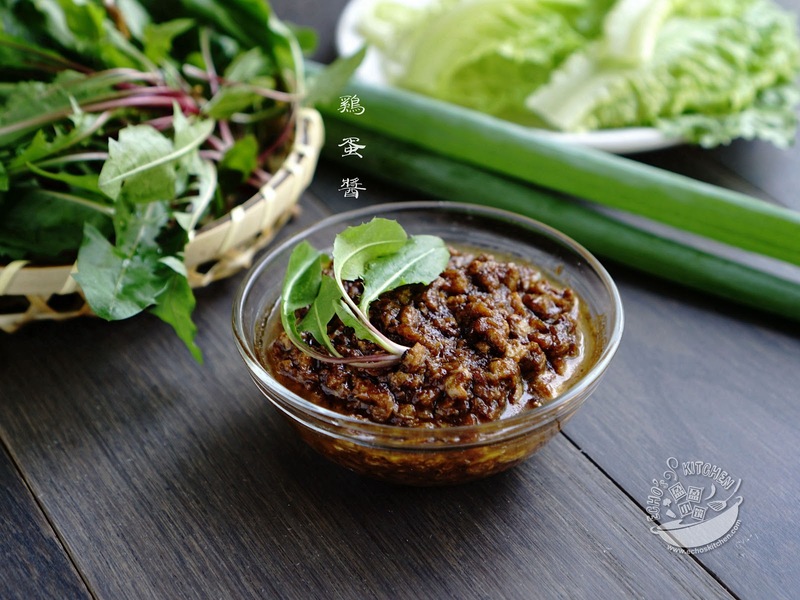 Add soy bean paste and cook at medium until oil separated at the edge, you can add a little sugar if you like a tad of sweetness in your dip. Adding 2-3 tbsp of this egg sauce to boiled noodle makes a very good Egg Zha Jing mian, make sure you serve the noodles with some shredded cucumber/carrots!